Dubai-based Drydocks World, a leading marine, onshore and offshore service provider to the oil, gas and renewable energy sectors, has recently successfully completed two projects for Bluewater Energy Services and end client Hurricane Energy. 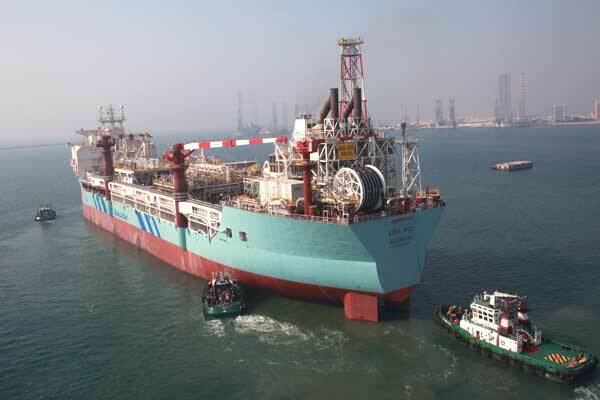 The projects included the refurbishment, life extension and upgrade of the FPSO Aoka Mizu vessel, and the construction of a Turret Buoy weighing over 1,000T, said a statement. In addition to the complex buoy construction project, Drydocks World teams fabricated and installed over 1,000T of structural steel, 1,800 pipe spools (including Duplex), and 55km of cables on the FPSO, it said. The projects were delivered in accordance with our corporate health, safety, environmental and quality goals, without any LTIs involving Drydocks World personnel, it added. The FPSO Aoka Mizu will be deployed on the Lancaster field, west of the Shetland Isles, UK, moored in a water depth of c. 150m. The FPSO is designed to process 30,000 barrels of oil per day, with the ability to store over 600,000 barrels of crude oil.